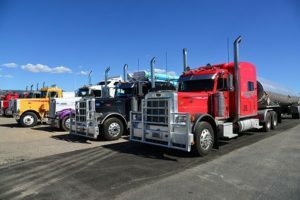 There’s something going on in the trucking company and more drivers are searching for trucking loan bad credit options. More than just having the freedom of owning their own business, these dedicated, to the haul drivers want control over what they do. In this post we’re going to examine trucking’s future and how drivers owning their own rig will compete for funding. 89% of truckers polled in a recent study noted their #1 career goal was to own their own rig, and gain business as an owner and not contractor. The same poll showed similar numbers in the area of identifying financial status as an obstacle to becoming an owner. There is a lot of cost associated with trucking training and certainly there are some ways to alleviate the cost of training, such as applying for grants or working with local job training networks. Though not a sure-fire method that guarantees opportunity, preserving finances for potentially owning is an important consideration. As with anything, there always more than one way to get to where you want to be, and seeking trucking loan bad credit options is merely among the ranks. So let’s take a look at some viable ways truck drivers, current, and preparing can make to boost their chance to take advantage of solid trucking loan bad credit alternatives. Keep focusing on trucking as your business and not your job. By doing so you’re maintaining a mindset as an owner. This means preparing to motivate yourself by having a business plan, this doesn’t have to be complicated. Also, act like an owner, make sure you have separate business checking account, this is hugely important as is maintaining positive balances. Unfortunately , negative or careless accounting can easily shut down any trucking funding. You need to work as much as you need. The best chance you will have at gaining traction on a trucking bad credit loan offer is to show you can run a profitable business. Most companies require $7500 – $15000 monthly revenue, but there are also opportunity to fund your request with $3500 in monthly revenue. Worry less about credit score and focus more on increasing your profit. While not all funding applications require you to reveal usage of funding, you’ll greatly benefit from having a concrete explanation of both your business and reason for funding. Again, don’t get complicated, something simple, such as: ” I am requesting $80,000 to purchase an additional gig, and prepare to meet the needs of my current $240,000 orders….” . You can and should also include your company’s history and how your actions will mold your company’s future.